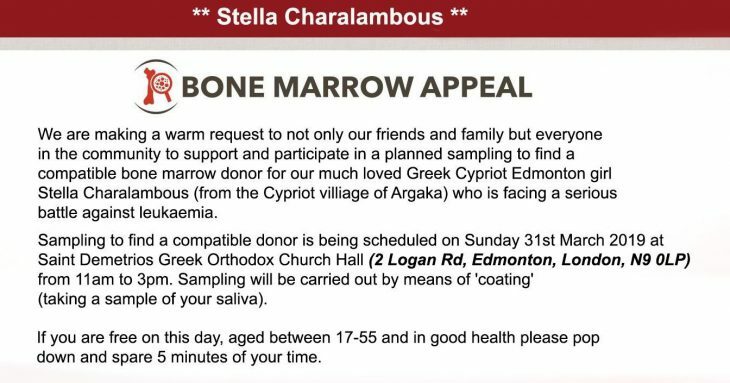 A Greek-Cypriot girl from Edmonton, Stella Charalambous, is in desperate need of a bone marrow donation. 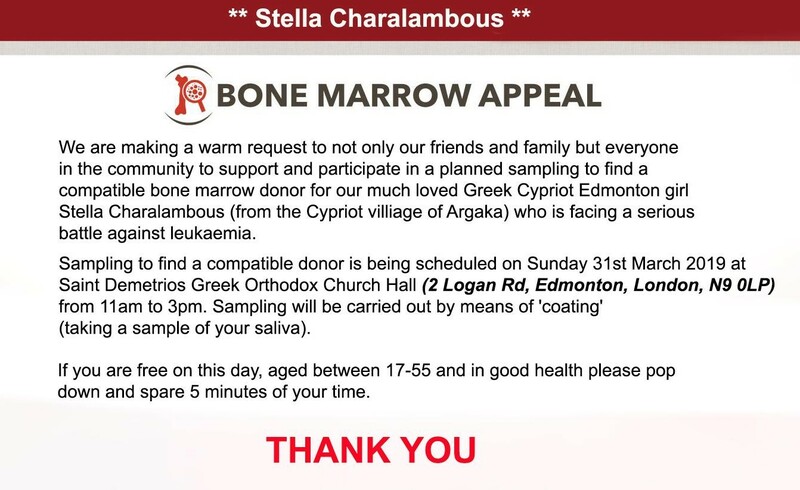 The Cypriot community, are asked to support and participate in a planned sampling to find a compatible bone marrow donor for Stella Charalambous, a Cypriot from North London, with roots in the Cypriot village of Argaka, who is facing a serious battle against leukaemia. Sampling to find a compatible donor is being scheduled on Sunday 31st March 2019 at Saint Demetrios Greek Orthodox Church Hall, 2 Logan Road, Edmonton, London, N9 0LP from 11am to 3pm. Sampling will be carried out by means of ‘coating’ (taking a sample of your saliva). If you are free on this day, aged between 17-55 and in good health please pop down and spare 5 minutes of your time. Supported by The Leukaemia Society. 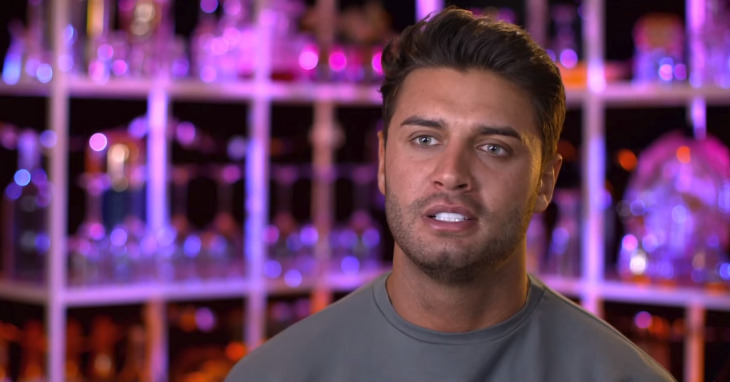 The former Love Island and Celebs Go Dating contestant Michael Thalassitis has been found dead aged just 26. The reality TV favourite, affectionately nicknamed Muggy Mike, was found in a park near his childhood home in North London. Scotland Yard officers said they found the body of a man in his 20s hanged in a park in Edmonton on Saturday. A spokesperson said: “Police were called to a park near Latymer Way, N9 at 0928hrs on Saturday, 16 March to reports of a man found hanged. “Officers and the London Ambulance Service attended and found a man, aged in his 20s, deceased. “At this early stage, the death is not being treated as suspicious. The news of his death comes just months after his best friend Danny Cutts passed away, with further reports suggesting he had been grieving his late grandmother. 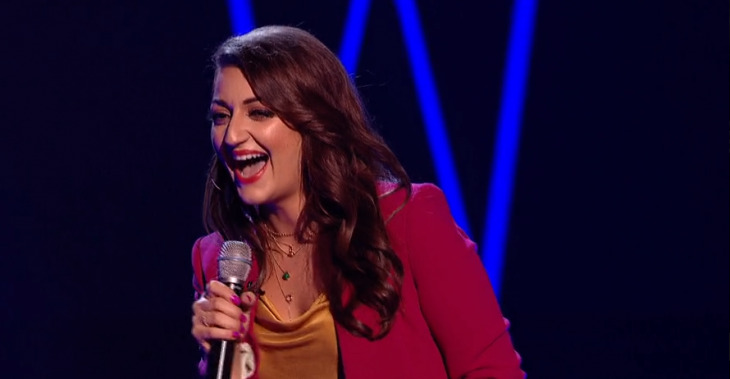 The reality TV star had moved in with the 94-year-old after her deteriorating health meant she needed a full time carer. He achieved fame on the 2017 series of Love Island and was also a semi-pro footballer. Born in Edmonton, the British Cypriot played for a range of teams including Ebbsfleet United, St Albans, Chelmsford, Welling United, Stevenage and Margate. His most successful spell during his sporting career when he played for Stevenage and represented the Cyprus national team and during the 2012/13 season, he scored seven goals in 19 appearances for Boreham Wood. The reality star was due to open his own restaurant, with reports suggesting the unveiling would be next week. After the island Mike signed up to appear in the fourth series of Celebs Go Dating alongside Gemma Collins, London Hughes and Sam Thompson. His last Twitter post on March 8 was a fundraising plea to help former football pal Spencer McCall battle cancer. He posted a shirtless picture on Instagram earlier this month, advertising a prize for followers. We at London Greek Radio would like to extend our deepest sympathies to his family and friends at this difficult time. 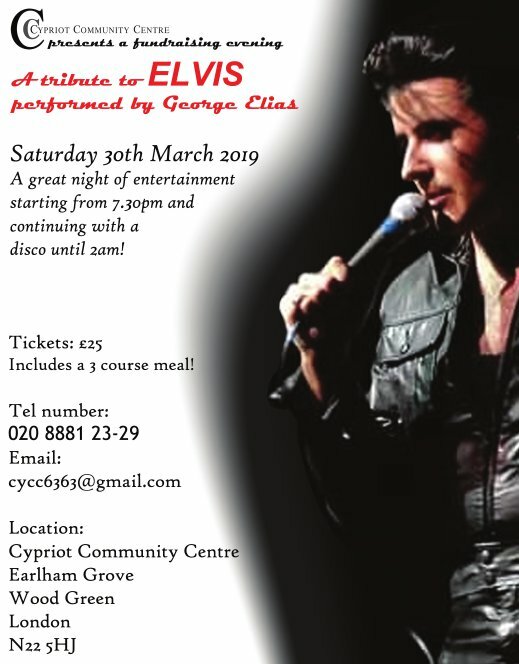 The Cypriot Community Centre presents a fundraising evening – A tribute to Elvis performed by George Elias – on Saturday 30th March 2019 at its premises at Earlham Grove, Wood Green, London N22 5HL. Tickets £25 – includes a 3 course meal. Get yours now by calling 020 8881 2329 or email: cycc6363@gmail.com. 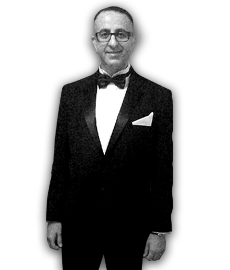 George Elias is a full-time professional ETA (Elvis Tribute Artist). His respect for Elvis and his vocal authenticity and repertoire are phenomenal. Don’t miss the opportunity to see George perform Elvis’ songs with great passion! 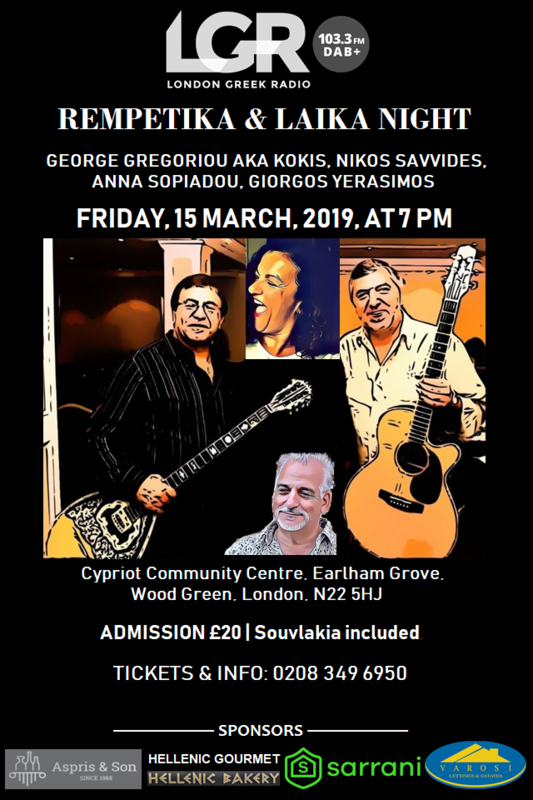 And of course fundraising proceeds will go to the Cypriot Community Centre to help them continue their wonderful work, within the wider community. Cypriot scientist Dr Antonis Antoniou has led a team of researchers who have developed a potentially “game-changing” test to predict a woman’s risk of breast cancer. The new study combines information on family history and hundreds of genetic markers with other factors, such as weight, to give the most comprehensive assessment possible, notes Cancer Research UK. Some GPs and specialists are trialling the prediction tool as part of a plan to spot cancers earlier through tailored screening. Women at high risk could be given preventative treatments or offered more checks, note the researchers. A potentially ‘game-changing’ innovation for predicting a woman’s risk of breast cancer has been unveiled. Scientists have analysed hundreds of genetic markers and lifestyle factors together to come with a method said to be the most comprehensive yet. The research aims to help doctors identify patients at the highest risk and lowest risk of developing the disease. Those who are considered to be more likely to develop breast cancer can then be given preventative treatments or offered more screening. Breast cancer is the most common form of the disease in the UK, with nearly 55,000 women diagnosed every year. Cancer Research UK says a large proportion of those cases occur in people who are at an increased risk. Led by researchers at the University of Cambridge, the risk factor study has produced an online calculator for GPs to use in their surgeries that is currently undergoing testing. The system combines information on family history and genetics with other factors such as weight, age at menopause, alcohol consumption and use of hormone replacement therapy. More than 300 genetic indicators for breast cancer are taken into account, making risk calculation much more precise than ever before. Prof Antoniou said: “This should help doctors to tailor the care they provide depending on their patients’ level of risk. For example, some women may need additional appointments with their doctor to discuss screening or prevention options and others may just need advice on their lifestyle and diet. This innovative testing is shining new hope on the disease. Over 2 million new cases of breast cancer were diagnosed in the year 2018, according to the World Cancer Research Fund. Breast cancer is the second most common cancer in both women and men worldwide. Dr Antoniou is an accomplished scientist who studied at the London School of Economics and Political Science as well as the University of Cambridge before earning his PhD in Genetic Epidemiology at Cambridge in 2001. He has taught in the field of cancer risk prediction since 2013. The main focus of his research involves the development and trial of statistical modelling techniques for addressing clinical questions and the development of risk prediction tools. His latest breast cancer tool, made possible by the recent advances in genetics, will soon be used in clinical practice by doctors all over the world. 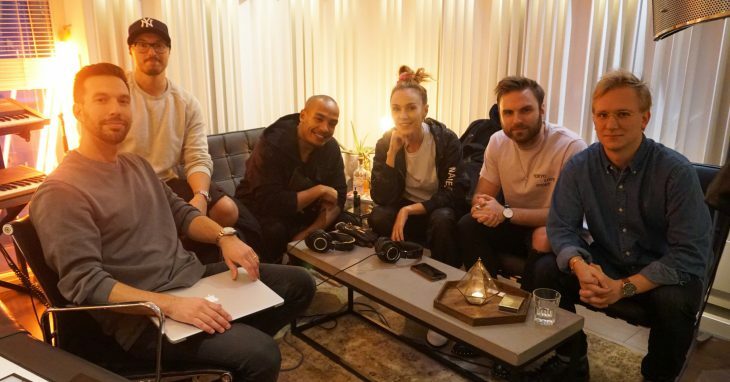 Singer Tamta, has officially recorded the Cypriot entry for this year’s Eurovision Song Contest at studios in Stockholm, Sweden. 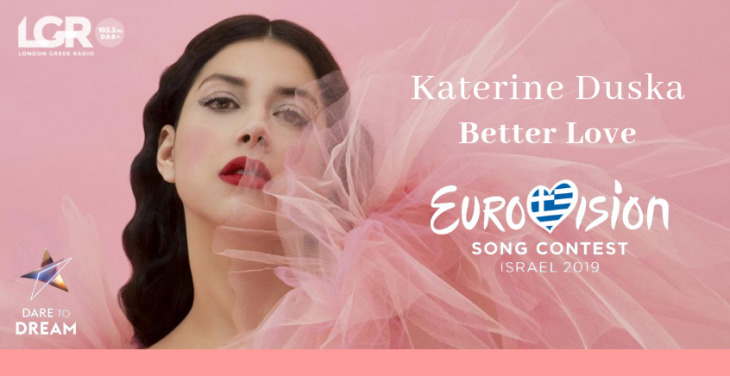 She will sing ‘Replay‘, described as an up-tempo pop “banger”, at the 64th annual contest in Tel Aviv this May. Georgian-Greek singer, Tamta Goduadze, 38, was announced as CyBC’s artist to represent Cyprus last December, officially instigating the Cypriot ‘well-drilled’, organised Eurovision machine quite early this year. The song’s composer Alex Papaconstantinou AKA Alex P, was the man behind Eleni Foureira’s ‘Fuego’ – last year’s impressive runners-up position in the competition. He has been assisted by Sweden-based songwriters Teddy Sky, Viktor Svensson, Kristoffer “Bonn” Fogelmark and Albin Nedler. The songwriters have penned hits for some of the biggest-named artists in music such as One Direction, Mark Anthony, Demi Lovato, Avicii, MO, 5SOS, Jennifer Lopez, Nicki Minaj, Arash and more. 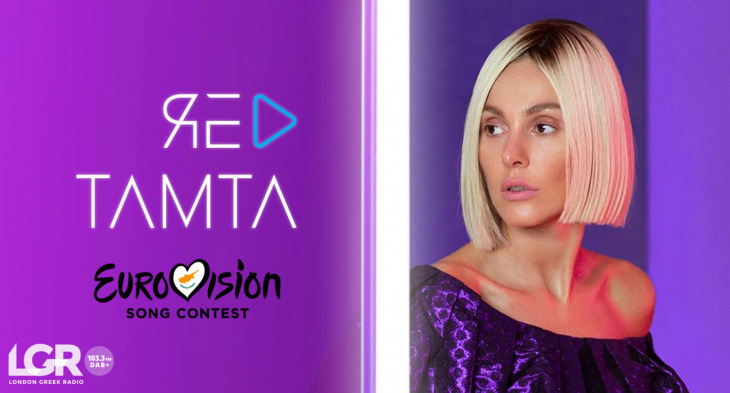 Tamta revealed that she felt that the tune complimented her signature pop-style credentials and she was impressed with the creative team behind the track, which convinced her to fly the Cypriot flag in the competition. She is soon to start filming the official music video to the Eurovision track this month. The release date for the Cypriot tune is confirmed for March at the earliest, which enhances the fans’ excitement even more. 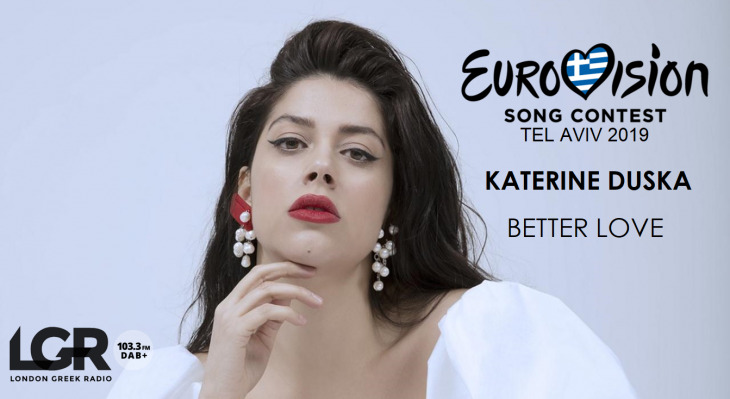 Cyprus competes in the Eurovision first Semi-Final on Tuesday 14th May at 8 pm GMT.